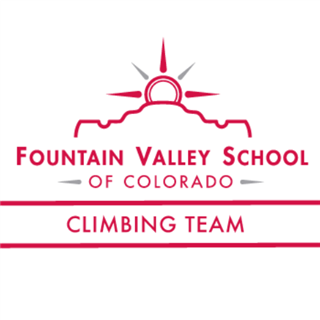 FVS takes top spots at the Pure Bouldering Comp. Our JV and varsity climbers crowded the leader board at Pure Bouldering, both as individuals and as teams. We had a number of season-best performances in both categories, which qualified a number for state finals in three weeks. And left a couple climbers just short of the getting the nod for the big ASCL gathering in Denver, which is sad after all their hard work and the contributions they have made to the program this season. Check out the results at: https://www.climbtheleague.org/results.html. PLUS there’s a host of stats for climbers just a click away on the website! The JV went first in the morning. JV Boys snagged a first-place finish, led by Reilly Kaczmarek (‘21) in 2nd, Ezra Potts (‘21) in 4th, and Makar Shpilenok (‘22) in 6th. Senior Felix Li finished a strong 7th! This is quite an accomplishment, as these boys have, over the course of the season, upped their game, placing 4th in December, 2nd in January, and now first! The top three will likely get an invitation to state finals (more in an email later this week when the regional coaches come to a final agreement on who goes). This is wonderful for everyone but Felix who has worked hard all season to improve his technique and become a stronger climber. I want to give a shout out to him for almost making the cut! In JV Girls’ action, our team finished a strong third behind Liberty and Castle View. Maddie Dunn (‘21) and Layla Esrey (‘21) finished 3rd and 4th, respectively, separated only by flash bonuses! Sera Massetti (‘21) came in a strong 11th, followed by Sophie Knuettel (‘20) in 12th. It has been great to see such a competitive field in JV Girls this season, as it has pushed all the girls to be at their best at comps. Our team was just 62 points (out of 12,000) behind Castle View in 2nd! The varsity girls are stronger than ever, with Aspen Kimlicko (‘20) taking 1st place overall! She sent slabby #14 (which is her least favorite type of bouldering) and added pumpy #15. She also flashed #12, which edged her past Audrey Safer of Vanguard (who did it on her second burn) for the win. Meanwhile Adeline Thames (‘19) and Ingrid Ellis (‘19) both had a great day sending problems up through #14, finishing 3rd and 4th, respectively--and were separated only by a couple of flash bonuses. Adeline, moreover, flashed all her the boulder problems that counted toward her score! All this bodes well for state finals where it will be key for all of them to place high in the rankings. Varsity boys had their own standouts! Savian Johnson-Czerny (‘20) led the way, finishing 3rd, with Eli Fricke (‘19) in 6th, and Jacob Thomassen (‘20) in 7th! A newcomer to varsity this season, Jacob scored for the team for first time in his climbing career! For the coaches, this is very exciting, as we now have five climbers likely to go to states. And we’ll be a huge threat there! In addition to these three, we have Fabian Guerrero (‘19) and Sam Volk (‘19) likely to head to Denver. I also want to give a big shout out to varsity climber David Luo (‘19) who had a great day, finishing a strong 14th, thereby raising his regional ranking to 15th, which right now is not quite high enough to go to states. He has been a stalwart in the program for four years and contributed much to the varsity team for the last two. He does a great job of supporting other climbers and is known for his “David beta,” which is his unique way of solving boulder problems! More when I know it! Finally, a big thanks to families and friends for supporting our climbers at Pure!